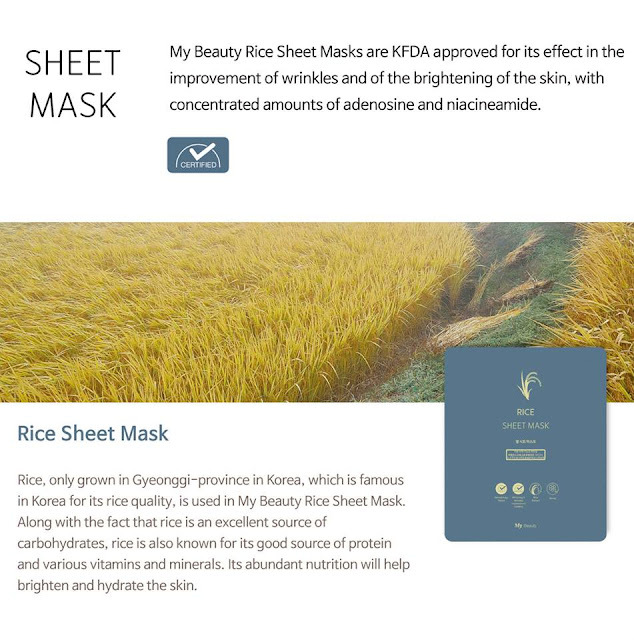 Thanks to My Product Co from South Korea, we received over 4k pieces of My Beauty masks to try this month yay! They were shipped from South Korea to Malaysia and arrived yesterday. All nine big boxes of masks. They're not all the same because, in the boxes, there are three (3) variants of masks to be given out to each active member of the community. 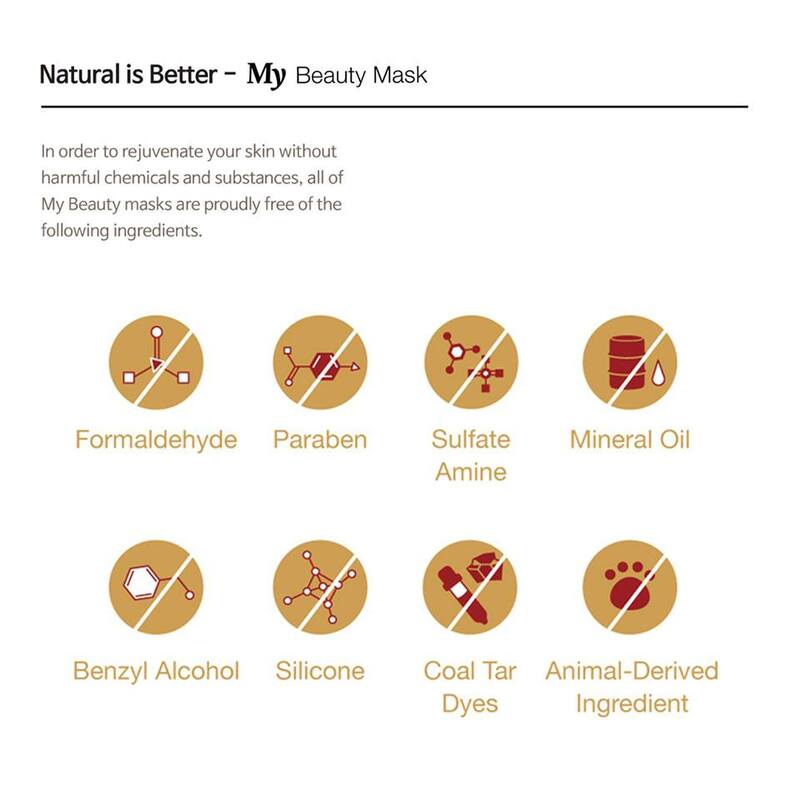 So what's My Beauty masks? They're not just a Korean brand in a name. They're 100% made in Korea from every stage of production. From ingredients source to manufacturing, design and packaging, they are the real thing. Free from 8 harmful ingredients - Formaldehyde, Paraben, Sulfate Amine, Mineral Oil, Benzyl Alcohol, Silicone, Coal Tar Dyes and Animal-derived Ingredients all their masks are rigorously tested and dermatology approved. 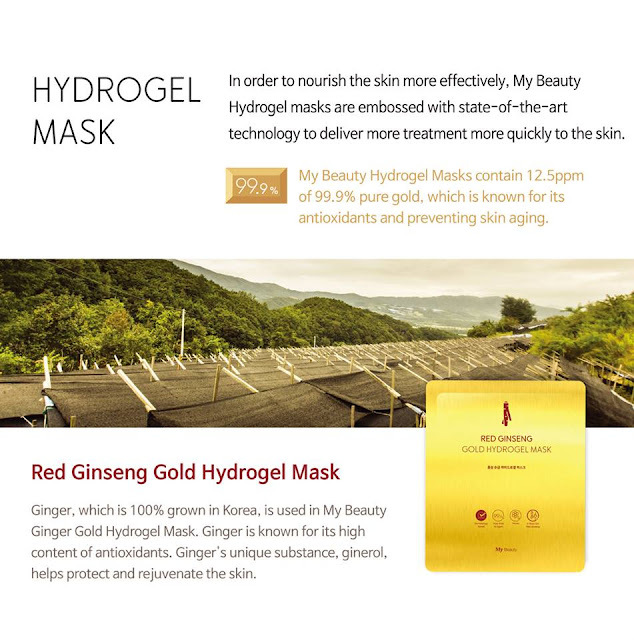 One of the ingredients used is the Natural Honey Extract. Famous for its vitamins, amino acids, minerals, and unusually high concentration of natural antioxidants that purify and protects the skin. I guess we now know why these masks are not your ordinary masks. They also cost more for a reason. Do You Know? 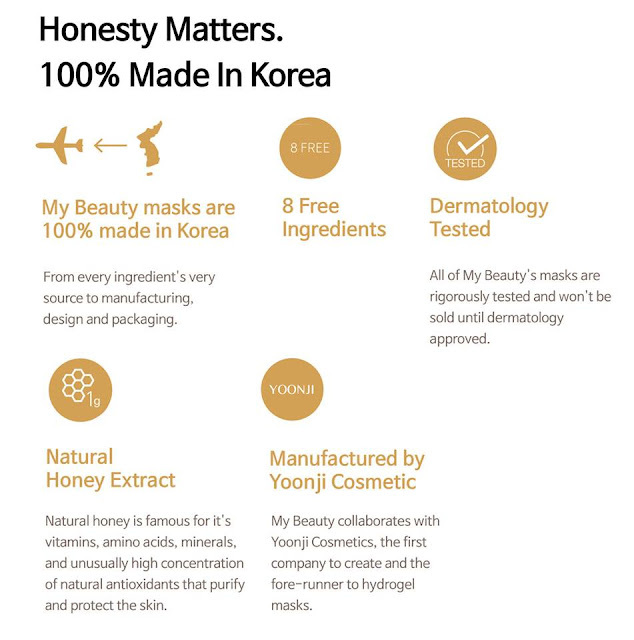 They collaborated with the Yoonji Cosmetics the company that created hydrogel! We're really happy that every member will be getting a set each to try. 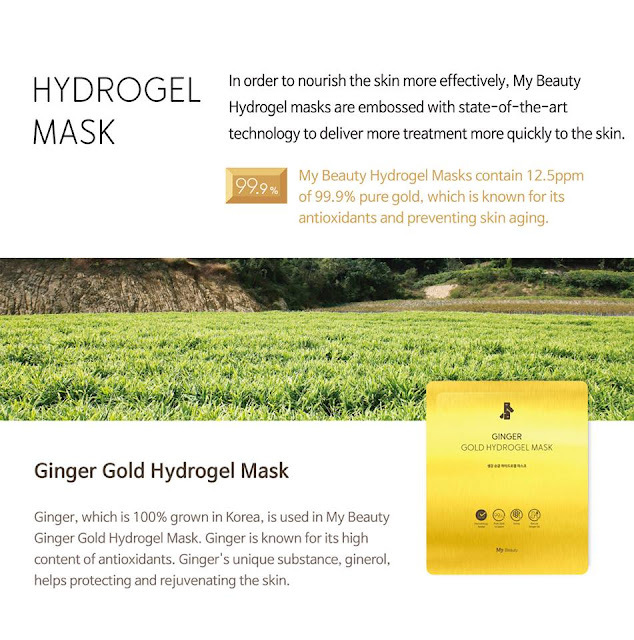 Our founder a.k.a Mamasan tore one like a hungry lion yesterday night and was amazed by the shimmering gold embed in the hydrogel that she quickly insta-story to share. 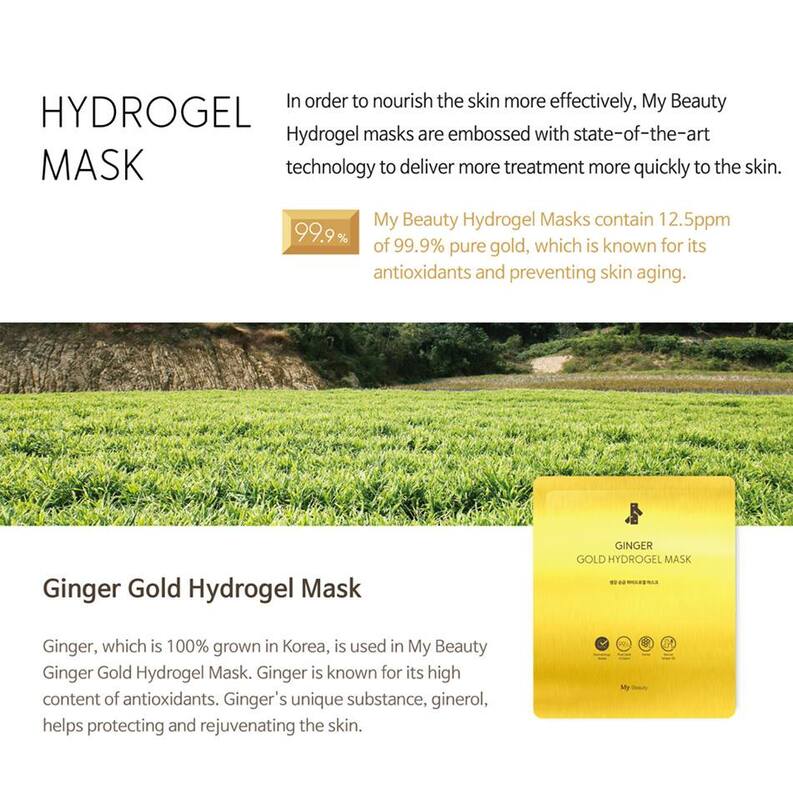 Her favourite is currently the Ginger Gold Hydrogel Mask as it plumps up her skin to reveal a bouncy, juicy cheek. Her pores were also plump up, and appeared smaller yay! She also tried the Ginseng Gold Hydrogel Mask which has a strong ginseng scent. Still mesmerised by the gold sparkles as it creates a hypnotic effect on her. Check her insta-stories at @hellotammylim. 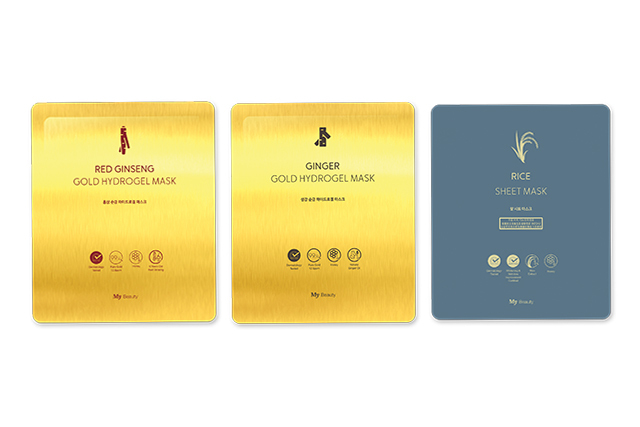 We're doing the giveaway on our community FB wall so head over there or click here to register for a chance to receive a set of all 3 My Beauty masks to try. We have over 200 sets to give out, and it's on a first come first serve to our active members.  The only thing we ask is that after trying, if you like them, please share or review them on your blog. 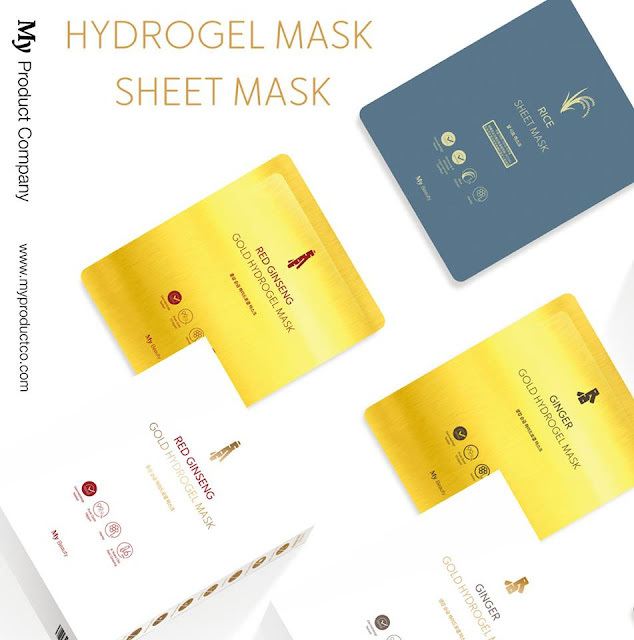 For more information about My Beauty mask www.myproductco.com and their IG www.instagram.com/myproductco.